CBS SF– A man so notorious a movie was made about his life just walked out of prison. Ex-kingpin, George Jung is now in San Francisco where he will finish serving his sentence. I guess this was news back in June but I completely missed it. 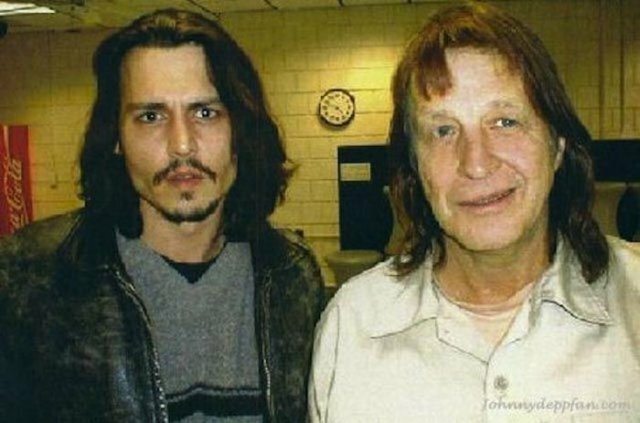 George Jung, the dude Johnny Depp played in Blow, was released from prison into a halfway house a few months ago. If you haven’t seen Blow (you should probably get on that), Jung worked with the Medellin Cartel and smuggled muchisima cocaina into the states back in the 70s and 80s. He was eventually busted in 1994 with close to a ton of blow. 2000 pounds. That’s 907,000 grams. His sentence was initially 60 years but Jung snitched. Jung was originally sentenced to 60 years in prison but got a reduced sentence after testifying against his former accomplice. OH NO George. This doesn’t make your former accomplice, or his accomplices, very happy. Gotta assume it’s Diego right? You might be 71 years old now but I’d watch your back. If I know the storyline of the upcoming blockbuster Blow 2 (starring Clint Eastwood as an aging Jung) like I think I do, I know that your former accomplice Diego and a horde of angry Colombians are coming for you. Will you be ready?